Robots in Disguise – the recent one, not the original that inspired this site back in 2000 – might be done, but there are still some interesting bits of merchandise coming out of it. Today’s case in point, Russian publisher Rosman has put out three books of stickers – two smaller ones with 100 stickers each, and a larger album with 121 stickers. 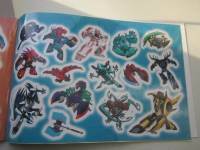 What makes these interesting as pointed out by TFW2005 member Arvegtor, is that these books go beyond the usual mix of Team Bumblebee, Steeljaw’s Pack, and the Mini-Cons, and include stickers of the likes of Jazz, Zizza, Malodor, Pseudo, Micronus, Paralon, Scatterspike, Megatronus, and Octopunch. By all accounts, these books might be one of the better showcases of all the designs featured in the first two seasons of the show available. Wow! Wish USA would get a clue! You have a super sniffer for TF stuff my friend! Thanks, but I think I am fine with the scans. The one such country-exclusive book I still want to get is the Beast Hunters leaflet with the expanded Predacons bios from the Philippines (I think?) – it gave them far more personality than the show ever did. They are pretty cheap (bought all 3 of them together for around 5 USD). After all, they're only A5 books (which makes some stickers really small) with 4 pages of stickers and A4 album with 8. There's a possibility some online shops have them and ship worldwide, but most don't. Your best chance would probably be googling "Трансформеры Росмэн". Wow, these are awesome. I see they even show Nightstrike's robot mode, which was not shown in the show at all! And artwork of Octopunch, Kickback or Terrashock? Btw, I have never seen info posted here on the RID playing cards either. 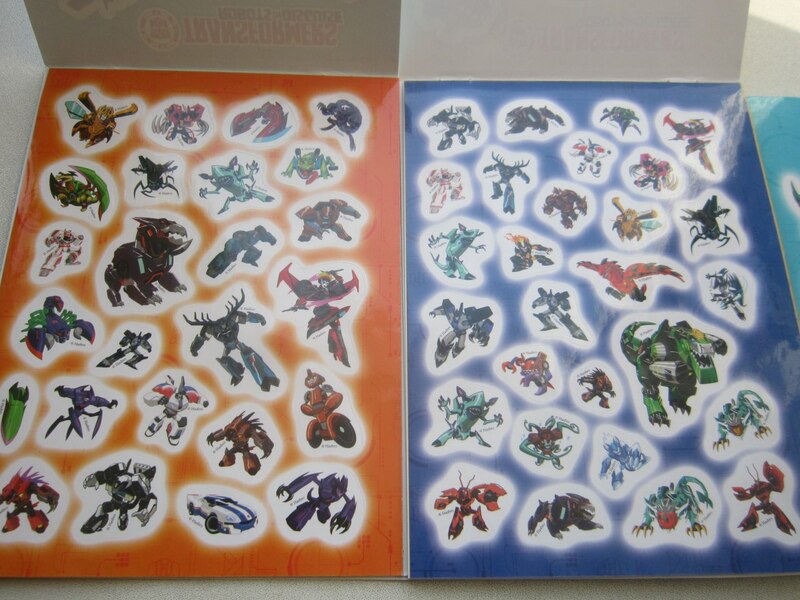 I got them for like 2$ recently, and they also have artwork of some extra Decepticons. He’s a Sharkticon, can’t remember his name though. Its a Russian R.I.D. dossier !!! Upd: sorry, somehow uploaded a copy of the blue book instead of the yellow one the first time. Fixed. are you talking about octopunch or…? The show's designs were fun! These are a great reminder. 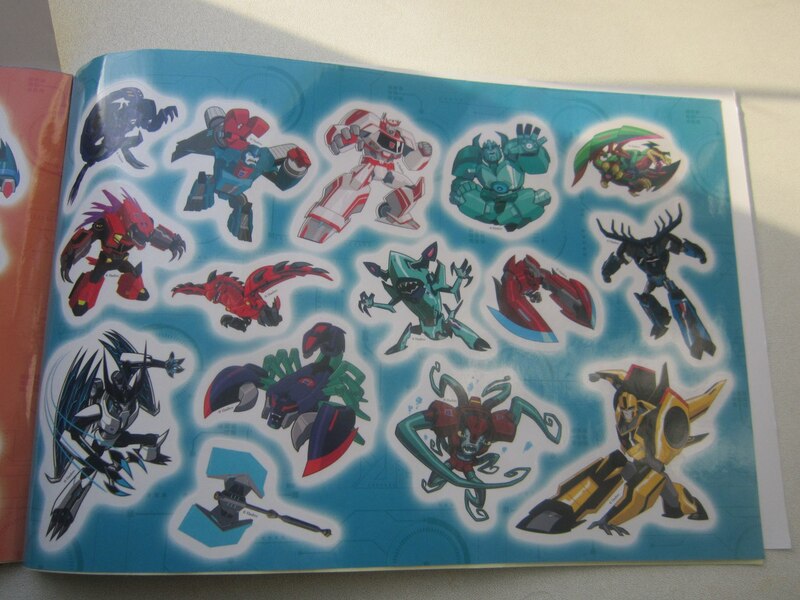 There appears to be seacons on there, or am I crazy? Rosman, one of the biggest publishers of children's books in Russia, has started making Transformers-related products. Russian Transformers books were previously published by Egmont (activity books), Umka (mostly Rescue Bots books) and AST (translations of RiD storybooks and IDW graphic novels). The first set is 3 sticker packs in a book-like form (there's nothing but stickers there). I actually just got them today. Two smaller "books" have 100 stickers each and the "album" contains 121. The most interesting thing about them is the selected characters – other than regular Team Bee, Stelljaw's pack and the Minicons, you can find Jazz, Zizza, Malodor, Pseudo, Micronus, Paralon, Scatterspike and others (no season 3 characters). According to the publusher's official website, they're also going to produce 5 how-to-write books with G1 Optimus, Megatron, Bumblebee, Starscream and Soundwave on cover (and probably nothing about the Transformers inside, but I'll check them out in any case as soon as they appear). Rosman's other products for this brand are gift bags, birthday cake candles, soap bubbles and confetti.